It can be hard to show clients what their money is paying for, but I was taught that it’s always a good idea to try. The amount of time that they see you at the shoot is just a fraction of what is involved in a professional photographers day. One of the many things you pay a professional photographer for, is their post-production work. Call it what you want: editing, massaging, enhancing, retouching, fine-tuning, polishing… It’s just a piece of the total package. That being said, it’s a pretty important piece. Even an image that’s technically sound, SOOC (straight out of camera) can usually benefit from a little love. Photographers use programs like Lightroom and Photoshop to help make a great image GREATER. It’s also the opportunity to use artistic preference and help their images stand out from the crowd. This is one of my favorite recent portraits. Carter’s parents are some of my longest-standing clients. “Legacy” clients! I had the pleasure of doing their engagement photos before their destination wedding. A little while later came Maternity photos. Then Carter’s newborn portraits, his 6month portraits (which have yet to be blogged), and a 1st birthday session! 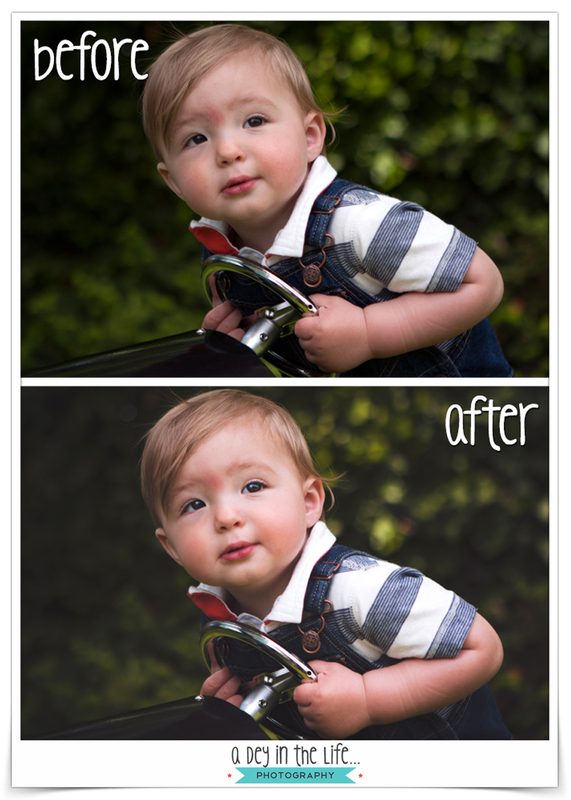 This “before and after” example was taken on his 1st birthday… it’s got canvas written all over it, don’tcha think? “Like” the page on Facebook! Growth Chart Rulers – Now available for order/purchase!